The 3,500-acre Codorus State Park is in the rolling hills of southern York County. The 1,275-acre Lake Marburg has 26 miles of shoreline and is a rest stop for migrating waterfowl and shorebirds. The lake is also popular with sailboaters and motorboaters. Anglers love the lake for warmwater fishing and can also fish Codorus Creek for trout. Picnicking, swimming in the pool, and camping are popular activities. From I-83, take Exit 8. Go 18 miles west on PA 216 to the park. From Hanover, follow PA 216 to the park. 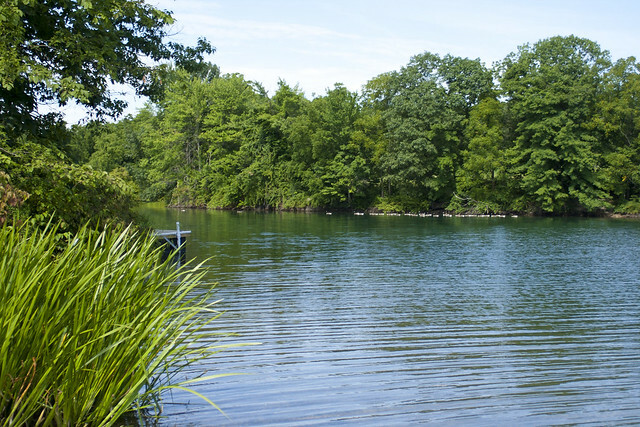 Due to the volume of boat traffic on Lake Marburg, scuba diving is only permitted in Sinsheim Cove, in the east side of the park. Divers must register and show their certification at the park office before diving, then sign out at the park office after diving. Divers must use the buddy system and a diving flag for safety. There are nature trails and a bird viewing station. Directions to the nearest hospital are post on bulletin boards and at the park office.